Since our founding in 1955, we at Little River United Church of Christ have been called by God to celebrate diversity, independent thought, and faithful action. This call led us to become racially integrated in the segregated Virginia of the 1950s. That same call led us in 2001 to become open to and affirming of LGBT folks, including full access to the rites of ordination and marriage. Today, we build on our heritage of proclaiming God’s radically inclusive love to our congregation, neighborhood, and world. We’d love to have you join with us in these sacred tasks! Whether you're a lifelong church-goer or a first-timer, you will find a warm welcome at Little River United Church of Christ. Our hope is that you will take the next step into this community. Our church is at the end of a long driveway, surrounded by a beautiful wooded area. When you pull into the parking lot, you are welcome to use our close-to-the-door visitors’ spaces on your left at the end of the drive. Greeters will welcome you after you step inside. They will direct you to our welcome table, where you will be provided with a nametag, if you choose to wear one. However, if you would rather go unnoticed, that's okay, too. Just walk by the greeters straight down the hallway into the sanctuary. No one will ask you to stand up or introduce yourself during the service. When you enter a worship service at Little River, you'll quickly notice the diversity in what people wear, from casual to business casual to business. Ushers will greet you at the sanctuary door, give you a worship bulletin, and can assist in finding a seat. Our one-hour service typically begins with a time of singing led by one of our choirs or musical groups, followed by prayers, scripture reading, the sermon, and the offering. To get a taste of a Sunday morning, visit the Sermons page to sample our pastors’ messages. During each service, we pass a Friendship Pad down each row in which those in attendance may write their names. This helps us get to know each other and greet each other by name. While we invite everyone to sign the Friendship Pad, there is no obligation to do so. Each week there is a time to express our faith in God through the giving of an offering. The offering is an act of worship for all who wish to participate. If you choose to make a gift, envelopes are available at each seat. We normally celebrate communion together on the first Sunday of the month. All are welcome to participate in the sharing of the juice and bread. We encourage guests to join us after worship for coffee hour in our social hall. Here you'll meet others who will offer you light refreshments while getting to know you, answering your questions, and guiding you to resources about the church. Little River United Church of Christ, founded in 1955 as the Congregational Christian Church of Fairfax County, met in what was then the Annandale Elementary School until the construction of the present building in 1959. Our church was the result of faithful work by people interested in establishing a church in Northern Virginia where all races could worship together. With that background, it is interesting that the present church property sits on land once owned by one of the largest slave holding families in Fairfax County prior to and at the time of the Civil War. Read more. We have benefited from long-serving as well as inspiring and effective leadership – having only three senior pastors since 1955. In 1985 the congregation voted to change the name of the church to Little River United Church of Christ to reflect the fact that members came from both traditions that had merged to form the UCC: the Congregational Christian and the Evangelical and Reformed churches. Consistent with our welcoming tradition, in 2001 we formally declared Little River to be Open and Affirming, explicitly expressing a welcome to people of diverse personal and religious backgrounds – without regard to race, gender, age, physical ability, or sexual orientation. Little River and its members have played active roles in the Potomac Association and the UCC Central Atlantic Conference. Having benefited from the support of an established UCC congregation when it was first formed, Little River has actively supported other UCC new starts in Centreville and Fredericksburg. 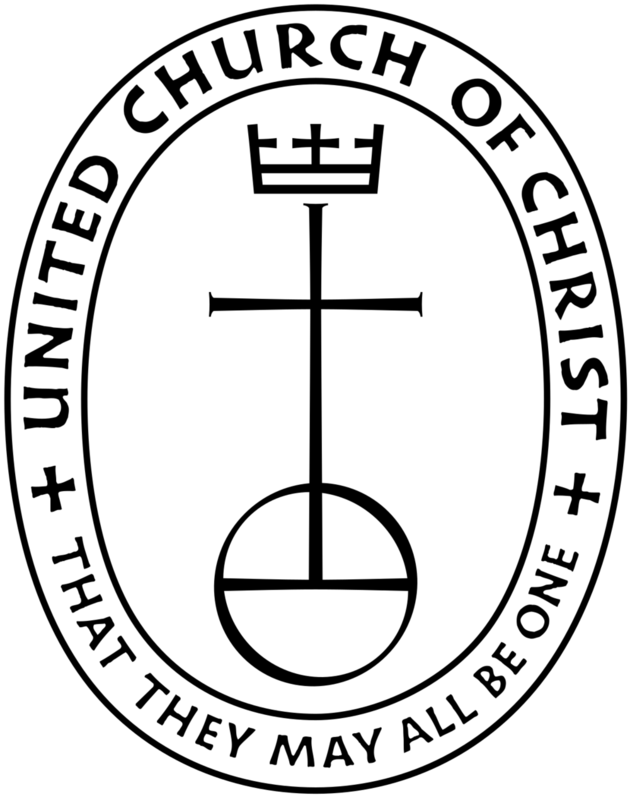 Learn more about the history of the United Church of Christ denomination. The community of Little River United Church of Christ welcomes you to our labyrinth, a place for spiritual reflection, prayer, and meditation. Set in our wooded grove, it is a place apart from hectic lives. The labyrinth is open in all seasons during daylight hours. We hope that your experience in these peaceful woods will nourish your spirit and offer you a time of peace and healing. Walking the labyrinth puts contemporary people in touch with a ritual that dates back thousands of years and has appeared in diverse cultures around the globe. In medieval Europe, labyrinths were widely used in cathedrals, designated as alternative pilgrimage destinations for those unable to travel to holy places in far-off lands. In our modern context, the labyrinth is a tool of meditation that can help us experience more deeply how God moves in us and with us on our life’s journey. The oldest design of labyrinths is the seven-circuit or classical form that is present at Little River. A labyrinth is different from a maze, having a single path rather than multiple paths and dead ends. In a maze we lose ourselves, but in a labyrinth we are invited to find ourselves. The labyrinth’s single path allows the walker to relax the intellect and be present with the journey itself in the present moment. By opening up ourselves to the moment, we are more available to connect with the sacred within ourselves and with all of creation. Walking the Labyrinth is a 3-stage process: the journey into the center allows you to relax, focus and let go of the details of your life. The center is a place of meditation, illumination and prayer. The return journey allows you to integrate what you received during your walk and time to re-engage in the world. There is no right way to walk a labyrinth. You are invited to discover your own special way. You may find some of the following suggestions helpful, especially if you are exploring the labyrinth for the first time. Before you begin, take a moment to relax and let go of your cares and concerns. Become aware of the beauty around you and be aware of your breathing. Walk silently at your own pace, pausing for reflection whenever you wish. Be open to any insights or prayers that may come to you. If you encounter other walkers, feel free to pass them or let them pass you. When you reach the center, stay as long as you like. Be open to what is stirring in you. Return on the same path, winding your way back into the world. Be mindful of what walking has opened in you. When you complete the walk, turn and give thanks for this time of quiet being and reflection. You may wish to sit for a moment and reflect on the experience. Return again as often as you wish.